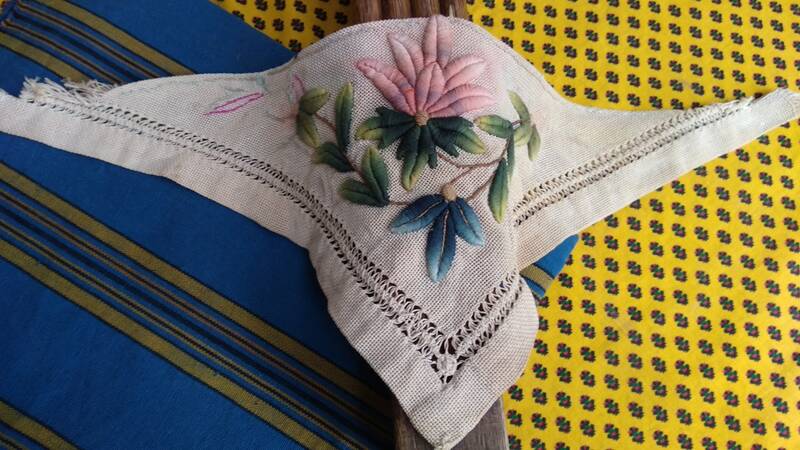 Original Antique French corner doily hand embroidered in relief. 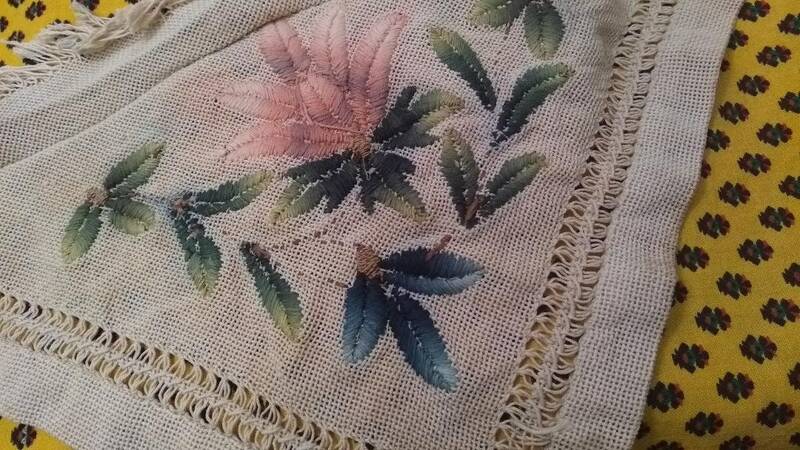 Gorgeous large flowers hand embroidered. 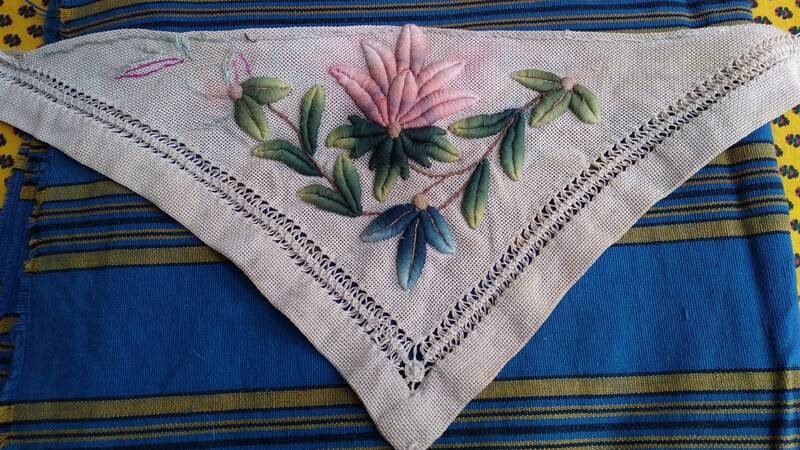 Greed, pink shades embroidered. 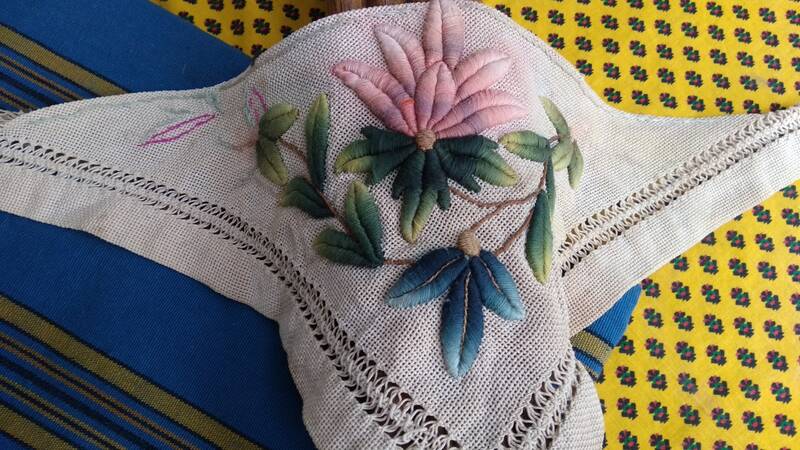 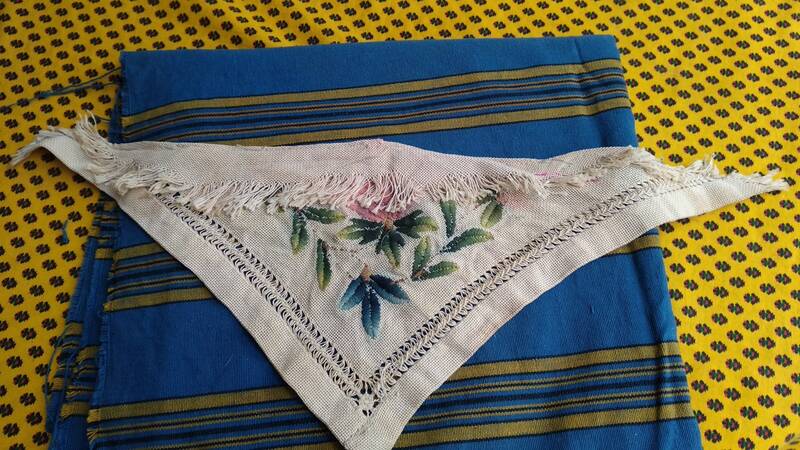 This kind of doily used to be set on a piece of furniture corner. 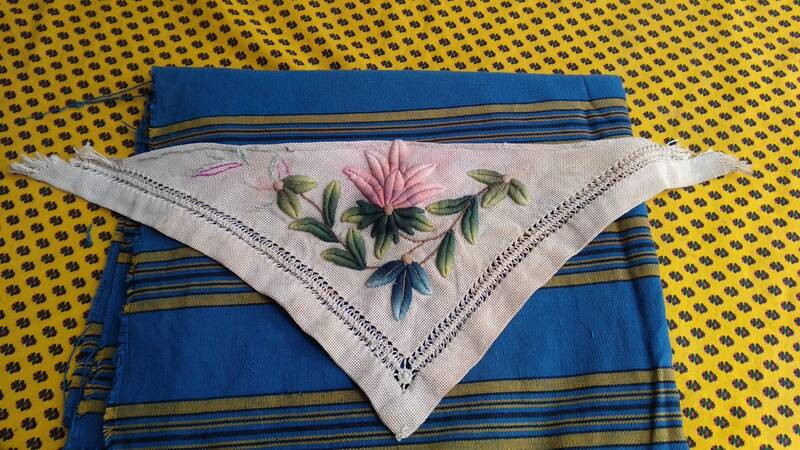 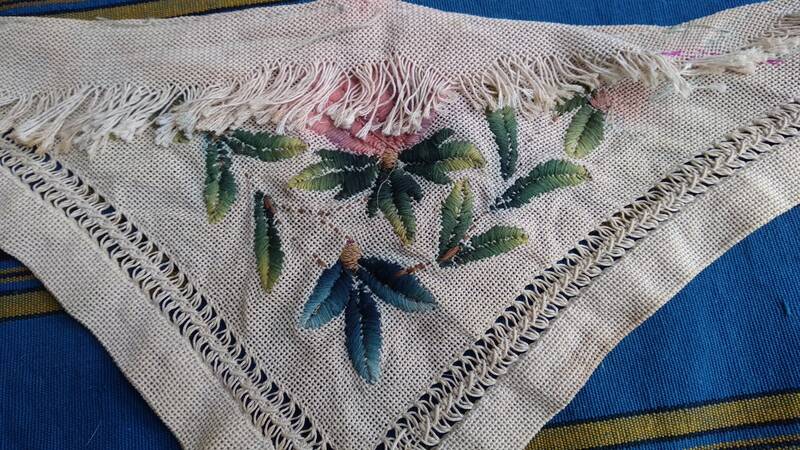 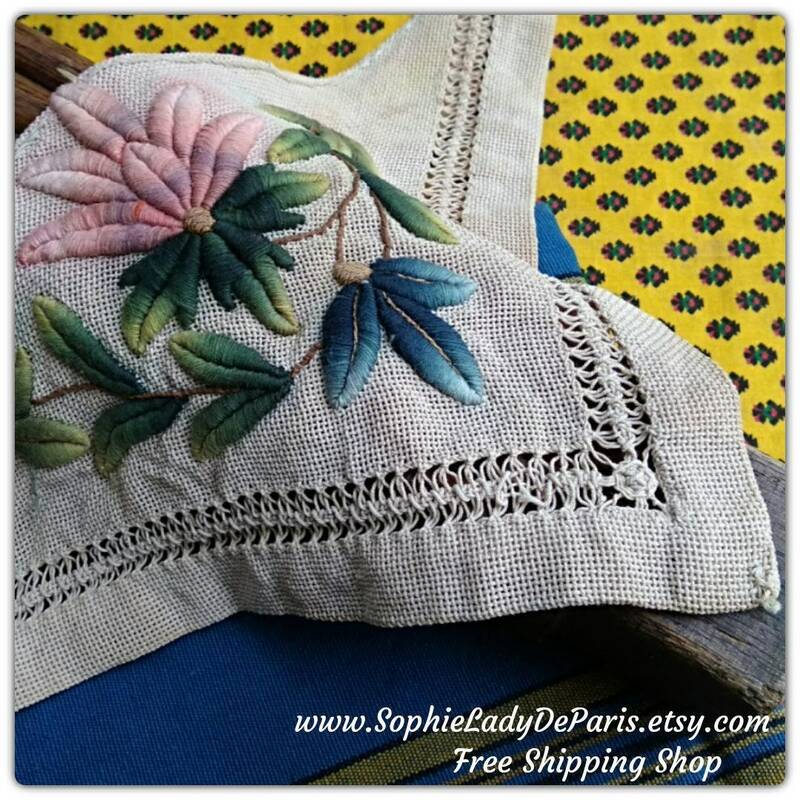 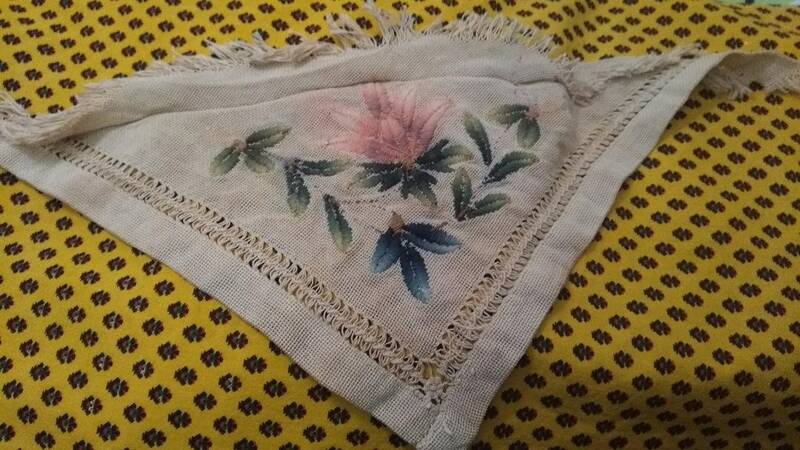 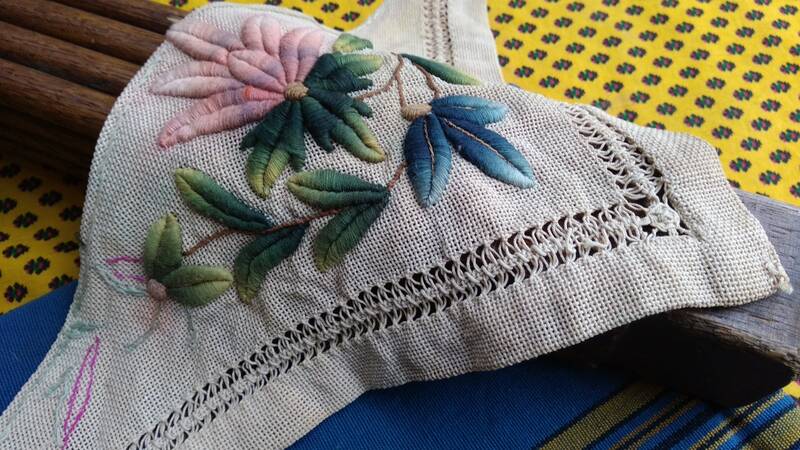 Beautiful original French linen Home Decor piece for furniture decor... or sewing project.